Del. Patrick Hope (D – Arlington) tweeted on Feb. 8, 2018, unless Lt. Gov. 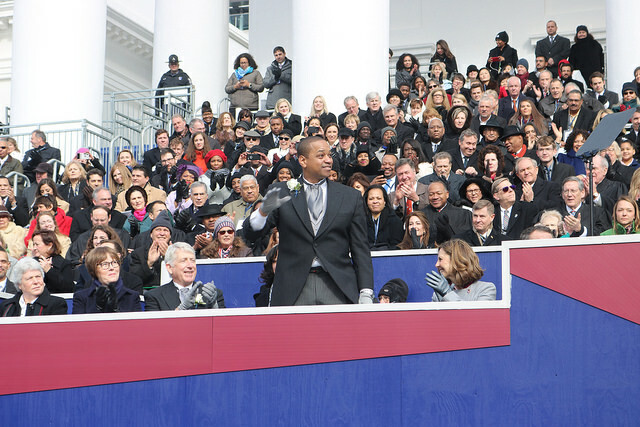 Justin Fairfax resigns, he will begin articles of impeachment on Monday, after he was accused of sexual assault by a second woman. While we believe that anyone accused of such a grievous and harmful act must receive the due process prescribed by the Constitution, we can’t see it in the best interest of the Commonwealth of Virginia for the lieutenant governor to remain in his role. Many public officials wrote on Twitter they believed Fairfax should resign. Representative A. Donald McEachin (D) whose district includes Richmond, tweeted Friday that Fairfax could no longer serve Virginia as a viable lieutenant governor after the accusations. He felt it would be best if he dealt with the allegations as a private citizen. Immediately after McEachin’s tweet, five Democrats demanded Fairfax step down from his position, citing allegations from NBC News which alleged the lieutenant governor used obscenities to describe one of the accusers. Jennifer Wexton, Abigail Spanberger, Elaine Luria, Gerry Connolly, and Don Beyer said in a joint statement the felt Fairfax showed poor judgment regarding the allegations levied against him. It was reported by the news station Fairfax verbally attacked his accuser, used derogatory and degrading language describing her, and blamed others for events which happened in his past. Virginia legislators have been embroiled in scandals recently. Gov. Ralph Northam (D) and Attorney General Mark Herring (D) were accused of using blackface in the past. Fairfax has said he would not step down. One Response to "Fairfax Impeachment Will Be Filed Monday Unless He Resigns"
Hiya! I simply want to give an enormous thumbs up for the nice information you may have right here on this post. I will likely be coming again to your blog for more soon.